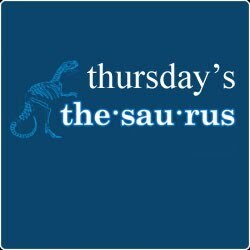 The next round of Thursdays Thesaurus is here and the term for this week is Understudy! Understudy: A member of the cast of a musical or play that understudies one or more of the principal roles and is also in the chorus. The understudy is asked to be ready to cover and be ready to play a role or roles whenever the need arises. Many times the understudy has gone on to become a star that outshines the very people they were hired to replace. What?? You want me to back this up with facts? Fine……. Have you heard of Shirley MacLaine? She started as an understudy for Carol Haney in 1954 for the Pajama Game. Carol was injured during the run of the show and at a moment’s notice her young understudy had to take her place. Luckily for Shirley MacLaine not only was she sensational in the role, but she was sensation on the night a Hollywood producer was in the audience. La Jolla Playhouse production of Thoroughly Modern Millie. Not only did she do well here in my home town, but she also went on to perform the role on Broadway and won the Best Actress Tony for the role in 2002. You want more? Goodness you people are insatiable…. The famous understudy has for so long been this thing of mythical proportions that it has even become fodder of a theatrical production itself. In 42nd Street the character of Peggy Sawyer goes on stage an understudy and comes back a splendid success. So if you ever go to a show and see one of those slips in your program stating “ For tonight’s performance the role of ______ will be played by______” don’t grumble or grouse. You may just be seeing the next big star.